The part of Russia that looks on a map like a mirror image of Alaska has lived in an opposite universe. While Anchorage grew in political freedom and potency in the 1950s, our eventual sister city of Magadan served as the hub of a massive death camp network. While Alaska prospered in the last 20 years, increasingly connected to the world economy, the region of Chukotka, across the Bering Strait, suffered a catastrophic economic and population collapse as a forgotten outpost. Our health and environment improved. You can see that more clearly in this mirror. While we thrived, our neighbor suffered a tragedy of mass alcoholism. Deaths vastly outnumbered births. Alaskans worry about how to deploy our world-leading oil wealth savings account and how to adjust our costliest-in-the-world medical system. Meanwhile, communities like ours in Russia have reverted to a subsistence economy, and not by choice. 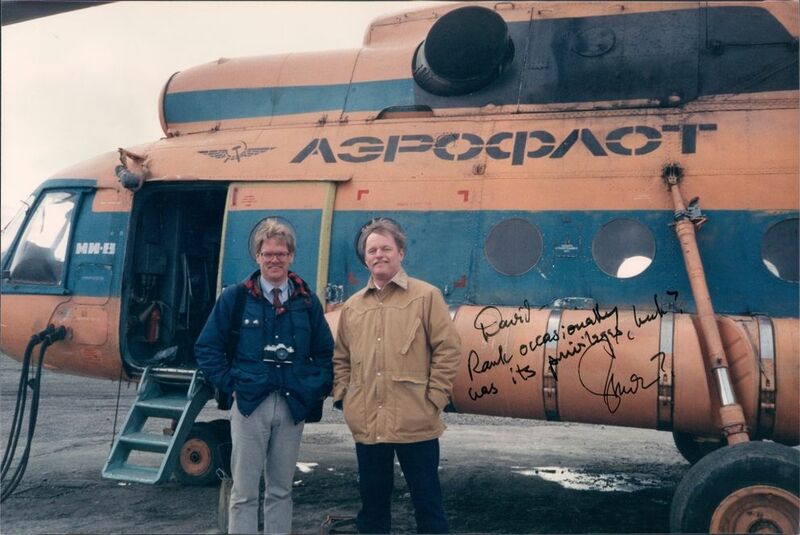 In 1988, author David Ramseur saw Provideniya, Chukotka, as a hopeful Arctic gateway, bustling with commerce. When he flew there again last year, it had lost half its population. In the city center, apartment buildings were sealed with steel plates covered with graffiti. Tall weeds hid broken sidewalks and vodka bottles. Scores of dogs wandered, mixes of dachshunds, huskies and other former pets. "Instead of Cold War nervousness of my first visit, I was stunned," Ramseur writes. "In 2016, Provideniya looked like Beirut after its 1980s civil war. The scores of barracks and military buildings along the road into town were abandoned. Concrete and steel rubble, broken utility lines, and rusting equipment littered the tundra," he continued. It could have been so different. When Alaska and the Russian Far East linked hands more than two decades ago, the promise of spreading Alaska's success westward seemed real. 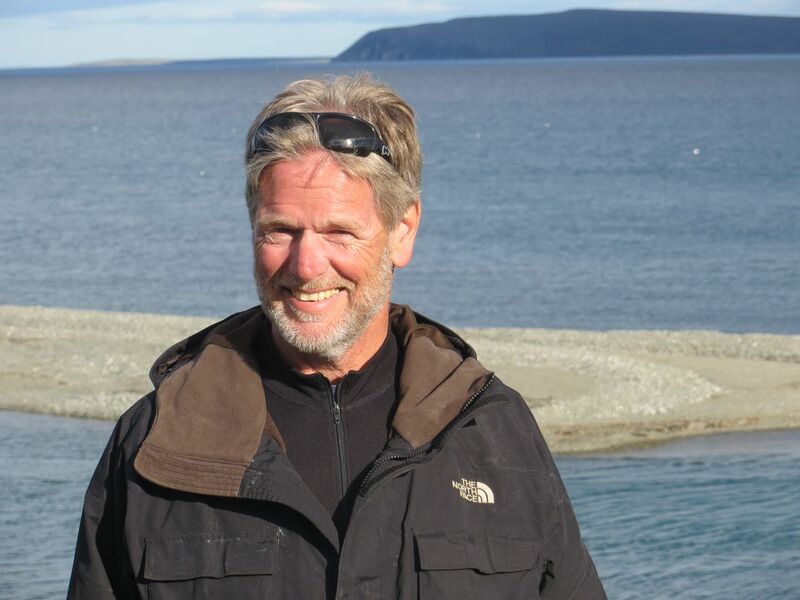 Ramseur's new book, "Melting the Ice Curtain: The Extraordinary Story of Citizen Diplomacy on the Russia-Alaska Frontier," tells how that connection happened and documents its amazing intensity, which was surely a rare event in world history. Although I lived through the period, I was surprised by much of what I read. Heroic Americans helped crack the Soviet Union's back door years before the fall of the Berlin Wall and may have hastened the end of the Cold War. Their inspiring adventures still carry an emotional punch. The heroism was as physical as Lynne Cox's 1987 swim between the two nations, completed in two hours in 42-degree water with nothing to warm her but a bathing suit. When she arrived on an icy Russian beach, she was too weak to climb from the sea. Russian soldiers lifted her. "I can still feel the heat from their hands on my skin," she told Ramseur. The moment was the opposite of Cold War. "Suddenly it comes down to humans on a beach and we have a picnic with a samovar and cookies and sing songs together," Cox said. At its height, in the 1990s, thousands of Alaskans and Russians were involved in business, health, cultural and educational efforts. It was a swashbuckling era, with direct flights carrying full loads of dreamers daily. Ramseur's book is at its best telling these improbable stories of international brotherhood, when people divided by decades of hostility discovered friendship, love and new life directions in a totally unexpected place. The book is encyclopedic and will be definitive on the subject, but for the casual reader it suffers from excessive detail and some flat writing. The structure of the chapters, however, allows dipping into some extraordinary stories without getting bogged down in too many facts. Ramseur also succeeds — even with me, a skeptic — in finding lasting impact in these events. Even after so many exchanges and lives touched, outside events determined the region's path. President Boris Yeltsin sank Russia into economic chaos and allowed theft of its wealth by oligarchs. Vladimir Putin ended the chaos with a return to authoritarianism and political repression. Alaskans sent food, fuel and warm clothing as our neighbors suffered the initial privations of those devastating historical forces, but we couldn't forestall the regions' ultimate return to deep poverty and isolation. Putin's government set up transportation and political barriers that cut off Alaskans' connections. Without government economic support, residents abandoned the region. The Russian mafia and shadowy political agents went on a murder spree. Some of Alaska's best friends in Russia were killed, including several regional political leaders. When Ramseur returned, he found few surviving. Arctic diplomatic connections remain, with the Arctic Council and so forth. It is important to keep formal lines of communication open, which seem blocked on a national level (except in the fields of computer hacking and espionage). But other than talking, I'm not sure what these diplomatic entities achieve. Citizen diplomacy had more concrete, lasting results. Alaskans' ideas and values persisted. For example, women's centers started with Alaska expertise and U.S. funding 20 years ago took root and continue to ease the pain of domestic abuse in the Russian Far East. The exchanges changed individual lives as well. Ramseur's was one. His career included service at the top of Alaska and U.S. government, as a key aide to two governors and to former U.S. Sen. Mark Begich. But he chose to write his book about his work with Russia. "It's hard to find anyone—Russian or American—whose life was not permanently and positively affected by their involvement in melting the Ice Curtain," he wrote. "For virtually everyone contacted for this book—who visited Alaska or Russia, who hosted an Alaskan or Russian in their home, or who in any way interacted with an Alaskan or Russian counterpart—the experience remains among the highlights of their lives," Ramseur wrote. That's a good enough reason for all the effort. But it makes the plight of our Russian neighbors even sadder to see. We had so much in common. How differently they might have lived under a political tradition like ours, which keeps safe our freedom and gives us, as regional residents, power over our own natural resources.